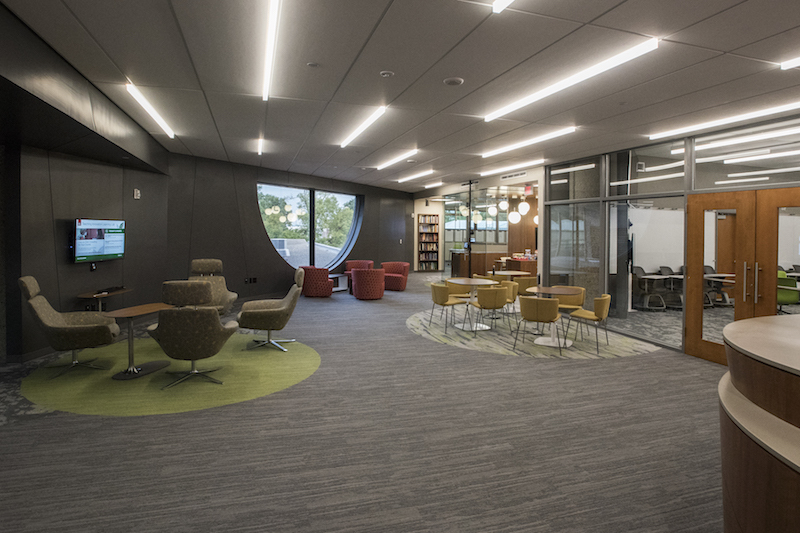 The Teaching Innovation Learning Lab (TILL) is a space for faculty-driven exploration and testing of innovative teaching methods that will drive success for the 21st century student. The Teaching Innovation Learning Lab (TILL) cultivates and supports the scholarly development, investigation, and dissemination of innovative and evidence-based teaching at the University of Louisville through faculty-led experimentation, idea exchange, and cross-disciplinary collaboration. The TILL is widely recognized as an effective professional development resource for innovative teaching and student success. The TILL encourages, models, and supports the scholarly investigation of teaching and learning (SoTL). UofL teachers implement and promote evidence-based teaching practices. UofL teachers feel connected to an interdisciplinary and collaborative teaching and learning community of practice. UofL teachers foster student engagement, learning, and success. UofL teachers demonstrate confidence in and derive satisfaction from their teaching experiences. The TILL classroom is a technology-rich active learning environment that is designed to foster student engagement and active learning. 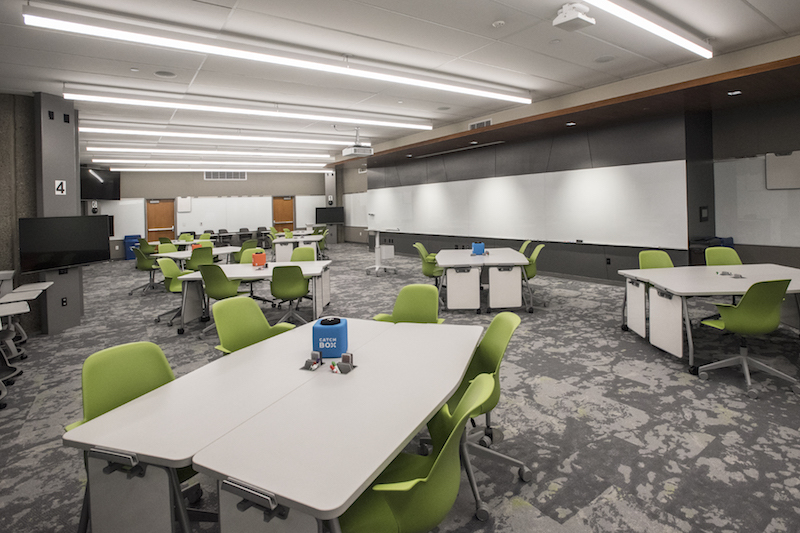 The moveable tables, node chairs and multiple monitors allow instructors and students to interact, teach and learn more creatively than ever before. The TILL features three collaborate rooms outfitted with the same wireless collaboration technology found in the classroom, making them perfect for small group meetings. 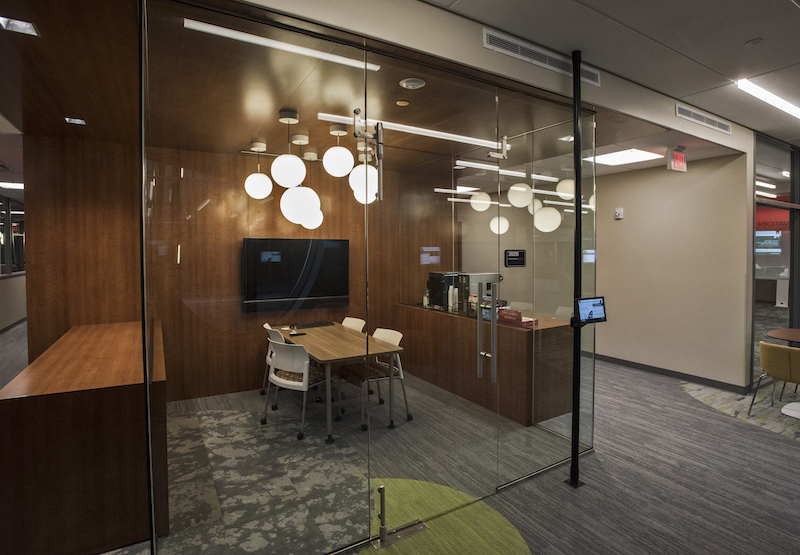 Reservations to use the collaborate rooms are encouraged, but drop ins are welcome so long as space is available. 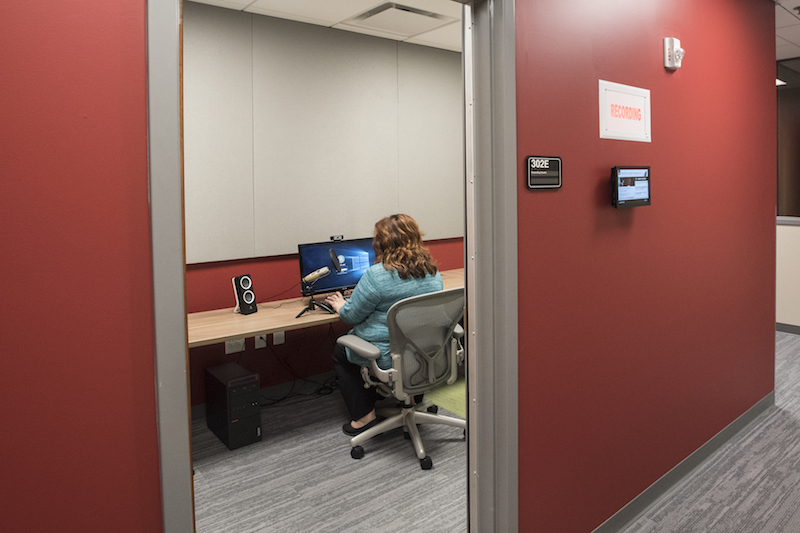 The recording studio includes everything instructors need to record audio or video material for their courses, and support staff is always on hand. Reservations to use the recording studio are encouraged, but drop ins are also welcome. Email us to reserve the recording studio. The living room is perfect for one-on-one meetings, reading groups, or a satellite work space. Come on in and grab a cup of coffee!